As the wealth gap widens and the super rich – or ‘high net worth individuals’ as they are referred to by those in the ‘know’ seek new ways to lavish their cash, the butler is stepping silkily back into fashion. While Britain revels in period dramas like Downton Abbey and the Upstairs Downstairs world of servants, and earls, butlers and dukes, valets and baronets and the gentleman’s personal gentleman, a new website is actively providing employment below the helipads. While the country likes to see it’s below stairs theatre to play out in the safety of another age and dressed in a frock coat, the reality is that the billionaires flocking to the UK and in particular to London today are eager to cement their credentials with that most elegant of status symbols – a discrete and elegant staff. 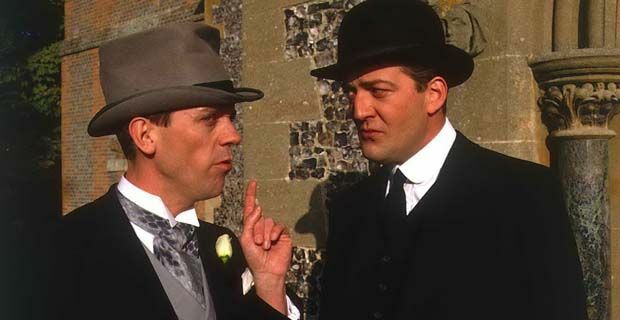 Greenbaizedoor.com is bringing the Wodehousian world of Jeeves to a whole new generation of Bertie Woosters. Times though have most certainly changed as it is no longer just a question of drawing baths, organizing a stiff drink at the cocktail hour and rescuing an amiable if dim witted master from an irate aunt. No, we are now looking at the kind of butler who takes his cues as much from James Bond, Paris Hilton and possibly the Milk Tray man than from Carson, Lord Grantham’s butler. Private jet bookings are a pre requisite these days, as is dog walking, organizing social functions, a working knowledge of tax havens, and international travel. Some things never change though – discretion will still be at the top of any list of qualities, as will flexibility, a love of wardrobe management, cleanliness, order and a pathological fastidiousness. Service when it comes down to it comes down to life management and the understated mapping of order in a chaotically busy life. No doubt there will be opportunities for reflected glamour and travel to luxury destinations, but ultimately there will also be giant egos in play. But then – aren’t there everywhere?